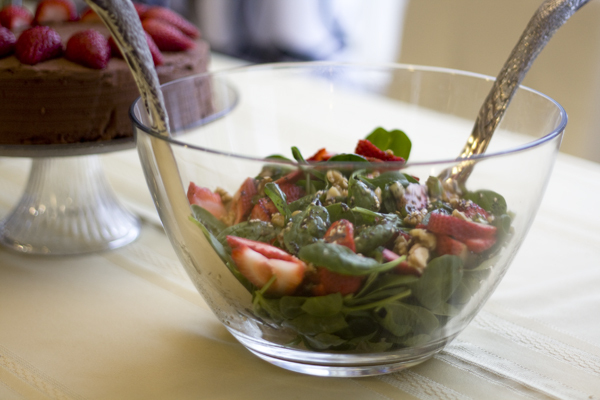 We love to make strawberry and spinach salad at our house because it looks nice and it tastes amazing. I played with the ingredients until I came up with the following recipe. 1. Place all dressing ingredients in a small container and mix well. Dressing can be made ahead of time and refrigerated. 2. 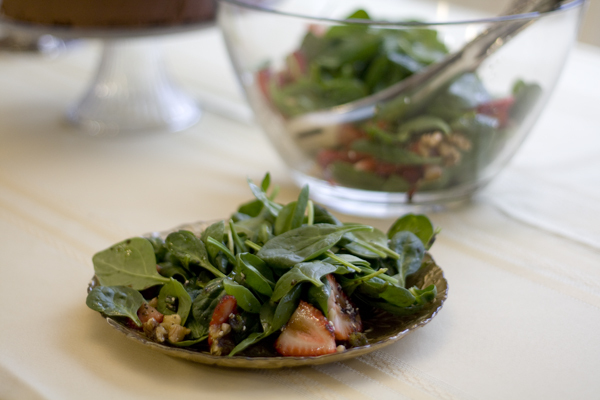 Wash the spinach, discarding tough stems, and wash and cut up strawberries. 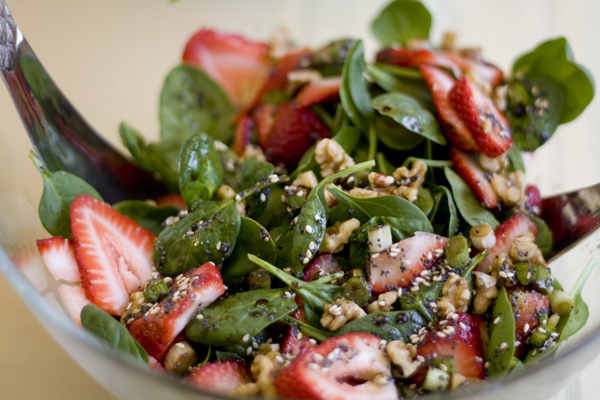 Place spinach and strawberries in a large bowl. Refrigerate if not serving right away. 3. Just before serving, toss the salad with prepared dressing, and then add walnut or pecan pieces. This looks delicious….perfect spring salad.